Be more relevant to other health care providers, prospective students, and insurers by switching to a completely electronic system. With more robust measurements, you can create meaningful charts that make a difference with clients, referrals, and reimbursements. For schools, students will enter the workforce prepared to succeed. 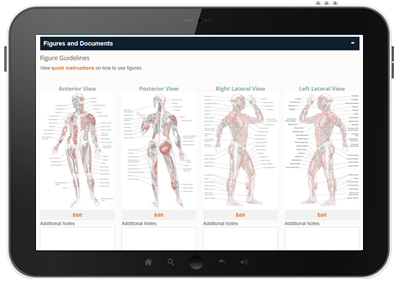 Drawable anatomical figures make charting intuitive and easier to teach and learn.  Upload photos and images of your assessments. 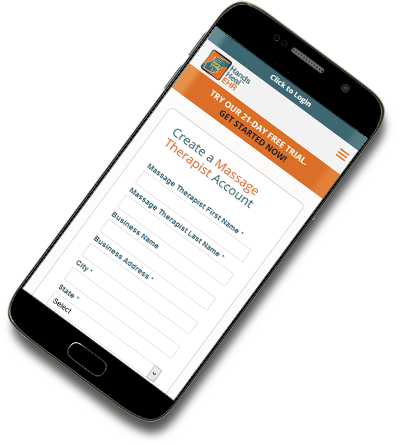 Get reimbursements faster. With our Advanced plans, you can create claims, send bills through a clearinghouse that ensures your claims are clean, and track payments. 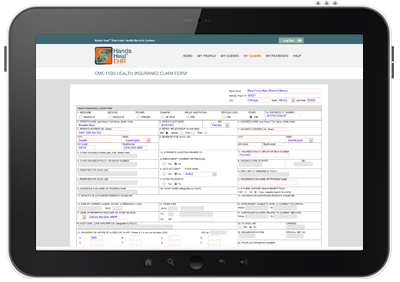 Your clients can access their health record and fill out pre- and post-session scales. 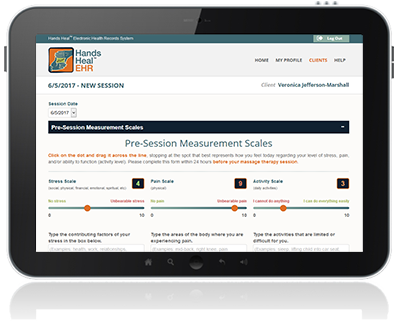 Client participation saves you time, improves measurement accuracy, and can even lead to better outcomes. 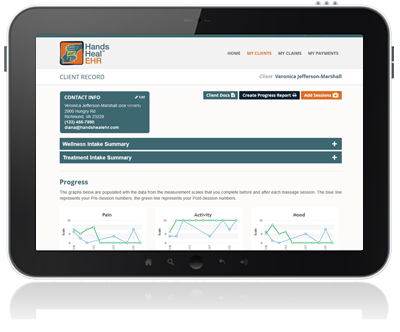 With two charting options, Wellness and Treatment, you can chart and teach to the type and complexity of the session, saving you time and effort. I tell everyone about Hands Heal any chance I get! I love it! 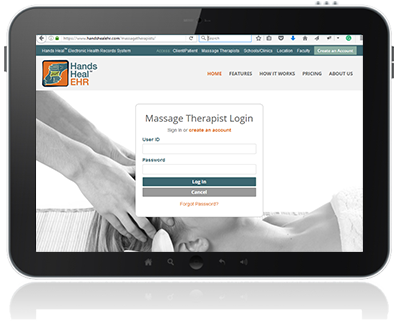 With 30 years in the field as a practitioner, educator, and advocate, Diana L. Thompson created Hands Heal EHR to meet the needs of therapeutically minded massage therapists and schools. 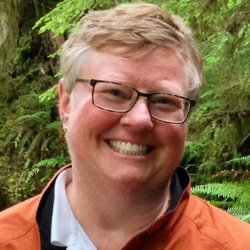 As the author of the foremost book on charting, Diana has made sure that Hands Heal EHR gives massage therapists a robust system that creates meaningful charts. 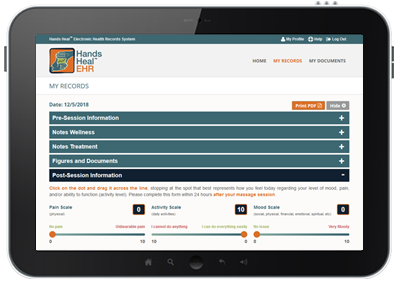 With instructional prompts based on the latest research, Hands Heal EHR is like a master class in charting. 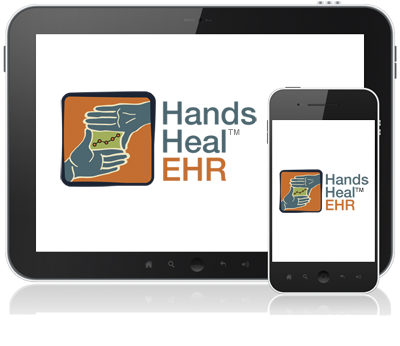 Try Hands Heal EHR risk free! Start your 21-day free trial!